Posted on 22, August 2018 by EuropaWire PR Editors | This entry was posted in Aviation & Aerospace, France, Technology, Transportation & Logistics, Travel and tagged A320neo, Airbus, aircraft, airline, Bahrain, carrier, Gulf Air, Kingdom of Bahrain, Sharklets. Bookmark the permalink. 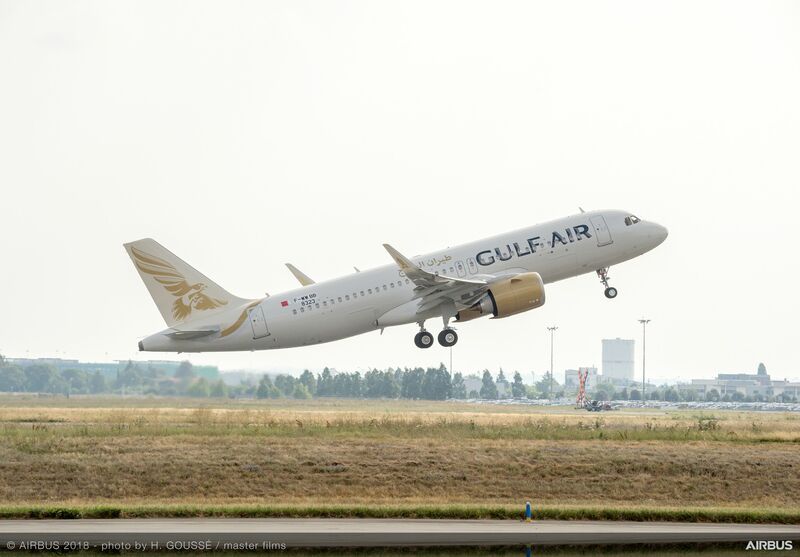 TOULOUSE, 22-Aug-2018 — /EuropaWire/ — Gulf Air, the flag carrier of the Kingdom of Bahrain, took delivery of its first A320neo today. The aircraft, powered by CFM LEAP-1A engines, made its maiden journey from Toulouse to Bahrain, landing at the Bahrain International Airport at 16:00 local time.